located at 15486 Lakeshore Rd,. 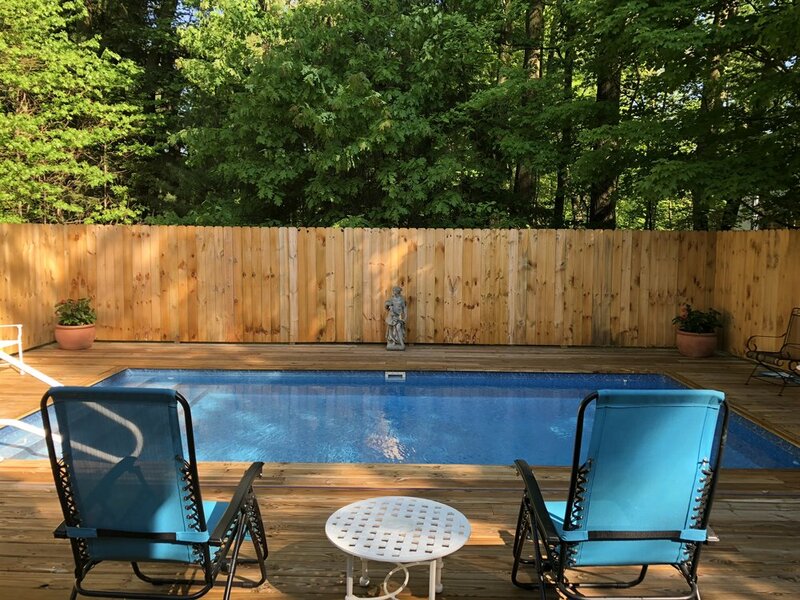 There are beach chairs, an umbrella and beach towels for your use while enjoying the beach and the deck has plenty of chairs to hang by the pool leisurely. In the evening enjoy a dip in the hot tub or take a stroll to the private beach to enjoy the sunset. There are plenty of shops and restaurants up and down Red Arrow Highway for you to explore and enjoy during your stay. This home has plenty of amenities to enjoy your funfilled summer vacation! ...can't wait to come back! “ Rent so many times in the area an all their homes are always super clean, we can't rent from any one else. We spend all our time in the pool and had wine on the beach to watch the spectacular sunsets! aqua team is ready! we run out of propane and they delivery with in 3 minutes! we are going back"
“My wife, toddler son (2 years), and two (very small) dogs had a wonderful stay at Aqua Bliss over Memorial Day weekend. This house is great for families with children (any age) or could be a weekend retreat for a couple or small group of friends. 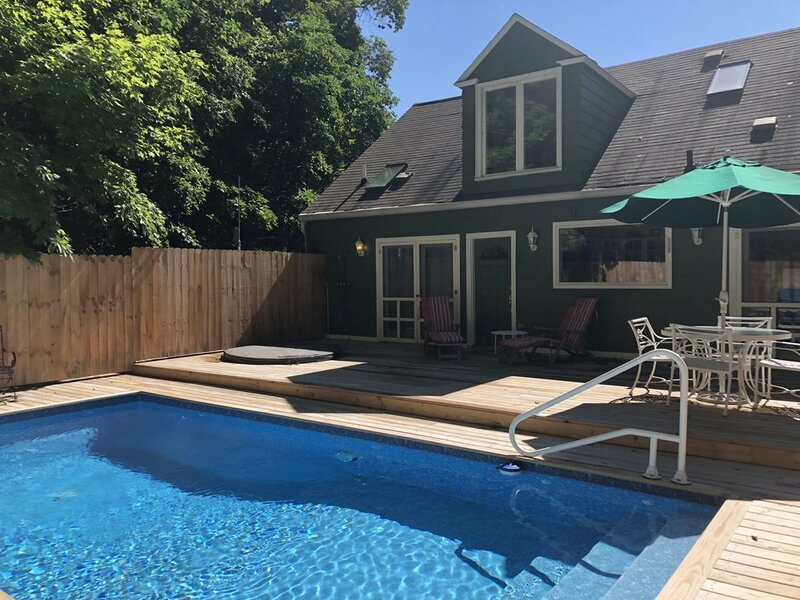 The house's location is perfect - right off Red Arrow Highway (but you can't hear the traffic), equidistant between Lakeside and Union Pier, and only a 8-10 minute drive from Downtown New Buffalo and Sawyer. Gourmet grocery options are mere minutes away, as are some of the better dining spots (Mesa Luna, Greenbush, etc.) 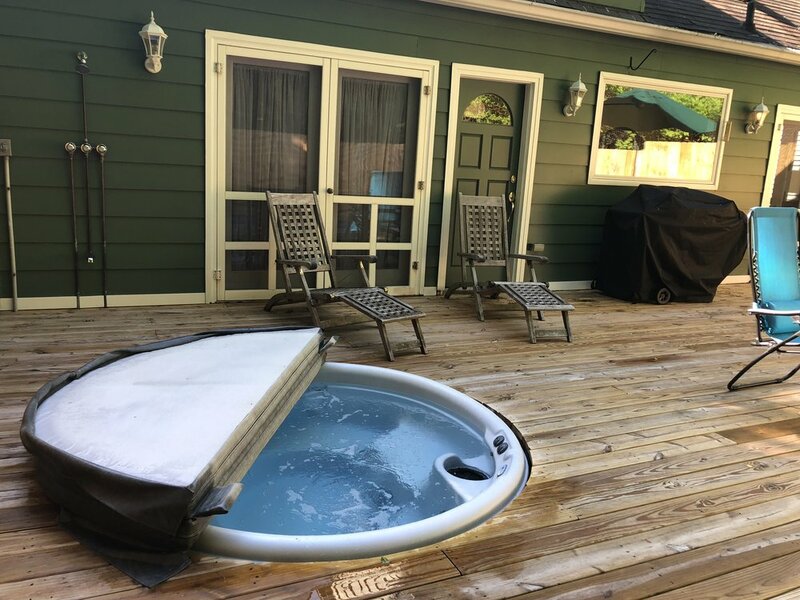 Main highlights of the house include the private heated pool, hot tub, and private beach access (only a short walk away). Kitchen equipment, pots/and utensils, were very nice and useful as we cooked at the house for the majority of our stay. The house also has a brand new gas grill on the deck. The decor of the home is exquisite and distinctive -- adding to our overall experience. The house was spotless upon our arrival. The Aqua team was great to work worth and immediately answered any questions we had. Rent so many times in the area an all their homes are always super clean, we can't rent from any one else!